As the largest publicly funded health service in the world, the NHS employs more than 1.5 million people. The vast majority are dedicated to their jobs, but the enormity of the organisation leaves it vulnerable to exploitation. Indeed, an astonishing £1.25 billion is believed to be stolen from the health service every year — enough to fund 40,000 nurses or buy 5,000 ambulances. Around a quarter of the stolen money is taken by patients in the form of prescription and entitlement fraud. Bogus contractors tricking the NHS into buying their supplies are also culpable. But there are also staff who pilfer desperately needed funds. This week, a new BBC series, Fraud Squad NHS, is exposing the fraudsters robbing the health service, and the efforts of the NHS Counter Fraud Authority, set up in 2017, to bring them to justice. From doctors and nurses to dentists and NHS directors, here are some who have brazenly abused their position of trust . 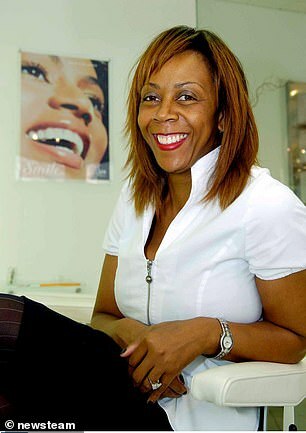 . .
Smartly dressed dentist Dr Joyce Trail exuded professionalism while submitting some 7,000 invoices to the NHS for work (totalling almost £1.4 million) she had never carried out. Trail, 56 — who lived in a gated £1.25 million six-bedroom home in Birmingham — spent the money on luxury hotels, designer shoes and private schooling for her two granddaughters. Some of the patients she claimed she had treated were dead. 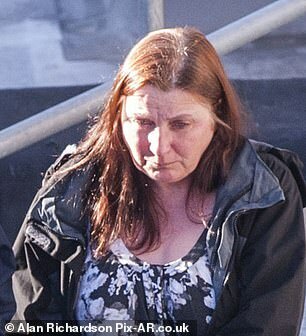 Fraud investigators ‘smelt a rat’ while trawling her files. ‘She was spending time in very exotic locations and doing this on a relatively modest declared salary,’ said Miranda Moore QC, prosecuting. Trail — who has been struck off — was convicted of conspiracy to defraud and jailed for seven years in October 2012. When a cancer patient’s operation was cancelled due to missing equipment, suspicions were raised at University Hospital Ayr. An audit discovered scores more sets of surgical equipment missing, and evidence pointed to Daniel Dreghorn, 42, a supervisor at Ayrshire Central Hospital’s decontamination unit, where the kit is sterilised. Dreghorn took 134 sets of equipment, worth around £1.3 million, and sold it on the black market in the U.S. and Hong Kong. He was jailed for four years in September 2015. ‘This sort of wrongdoing impacts on patients, some of whom desperately need the treatment and care this money should be providing,’ said Fraser Paterson, from NHS Scotland Counter Fraud Services. Mark Evill exploited his position as a manager at Powys Teaching Health Board’s estates department to award contracts worth £707,946.24 to his own construction firm, George Morgan Ltd, which was named after his dog. Some of the construction work, including a children’s hospital wing, was considered to have ‘major deficiencies’, with the cost to the NHS expected to rise to over £1.4 million once reparations are completed. Evill, 43, employed by the NHS through an agency, spent the money on a Land Rover Defender, property and holidays to Dubai. He pleaded guilty to transferring criminal property, fraud and perverting the course of justice last October. 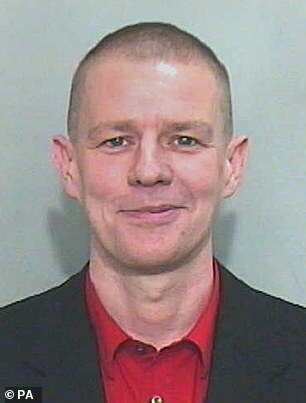 He was jailed for seven years, and two NHS managers who assisted him were sentenced to four and three years. Royston Dyke, 49, was the Associate Director of Capital and Development at Gloucestershire Hospitals NHS Foundation Trust, where he was responsible for approving contractor invoices. He was found to have submitted 204 invoices worth around £3,000-5,000 each, mostly for work that had never taken place. The invoices were sent by two building and decorating companies run by three friends of Dyke. Suspicions were raised when Dyke seemed in a hurry to sign off the work, yet showed no interest in the minutiae of it. He was sacked after admitting to conspiracy to commit fraud by abuse of position and jailed for four years, eight months last May; his co-conspirators receiving sentences from 16 months to three years. As THE trusted chief locksmith for Guy’s and St Thomas’ Hospitals in London, Andrew Taylor was responsible for sourcing the best value locksmith supplies — appointing a company called Surety Security for the purpose. Unbeknown to his bosses, however, the business was owned by Taylor himself, and he used it to exploit his position and charge the NHS mark-ups of up to 1,200 per cent, defrauding the NHS out of £598,524 in the process. 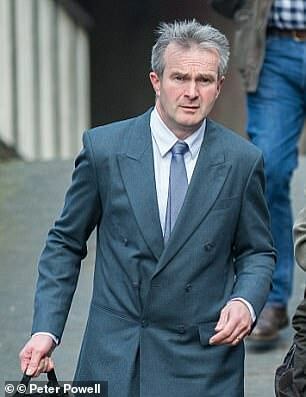 Taylor, 56 — who spent the money on private school fees for his son and a £27,400 Mitsubishi L200 car — was found guilty of fraud by abuse of position at Inner London Crown Court and jailed for six years last March. 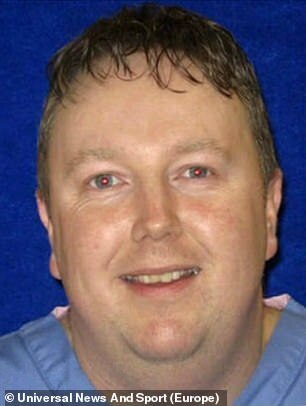 As head clinician of the perfusion (blood flow) unit at Basildon and Thurrock Hospital Trust in Essex, John Mulholland had an international reputation and was published widely in medical journals. He also owned a private company that supplied NHS staff elsewhere — so he and colleagues got paid for working full-time in Basildon while moonlighting at six other London hospitals. But an investigation revealed that Mulholland, 45, and his co-conspirators — Ann Clements, 55, Tom Cumberland, 46, and Martin Oliver, 41 — had been paid for some 14,000 hours that they never worked, costing the NHS around £430,000. They were all convicted of conspiracy to defraud in July 2014 at Basildon Crown Court. Mulholland was sentenced to three years, while his co-conspirators were jailed for two years. Deborah Hancox and her partner, John Leigh, exploited their positions — she as an NHS Manager and he as an IT purchaser in the North-West — to trick the NHS into buying computer equipment from companies they secretly owned, marking up prices by up to 60 per cent. The couple, from Middleton, Greater Manchester, took £330,000 in illegal proceeds from £1 million in sales, spending the money on property in the Lake District, Dubai and Cyprus. After their seven-year scam was exposed they fled to Northern Cyprus in 2008, where they spent five years before being arrested and brought back to the UK to face justice. Hancox, now 49, was jailed for two years in 2014 and Leigh, now 59, for 44 months. Shockingly, after her release, Hancox changed her name and got a new job in the NHS as an officer with Greater Manchester Shared Services — a position she has since resigned from. As a secretary at Ninewells Hospital in Dundee, Lorraine Warden was tasked with administering a charity fund intended to pay for medics’ additional training in ear, nose and throat medicine. Instead of protecting the money, she forged a doctor’s signature to write 61 cheques to herself and one to her daughter, stealing a total of £55,000. Warden, 48, from Dundee, was caught out when Dr Stephen Jones — the only signatory to the fund’s bank account — noticed the discrepancies. Warden pleaded guilty to embezzlement and was jailed for 16 months in February 2015. 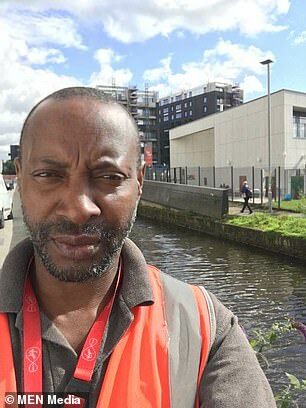 Employed by the NHS through a private security firm to keep the car park at Wythenshawe Hospital in Manchester safe, Peter O’Garro instead helped steal £200,000 from the cash boxes in car park machines over the course of seven months. 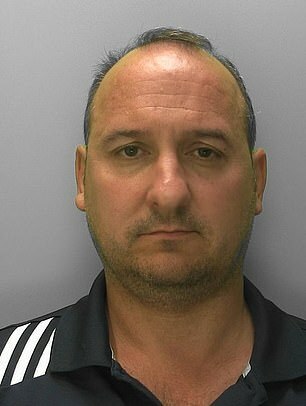 Aided by three criminal colleagues from the security firm, his scam was supported by his wife, Karen, 48, a hospice nurse. The couple spent their £43,682 portion of the haul on a quad bike, jewellery and electrical goods. 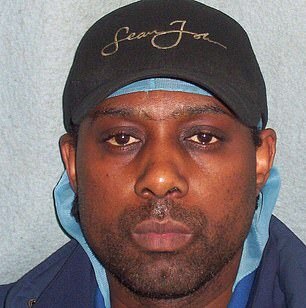 O’Garro — who was arrested after a whistleblower outed the gang —admitted theft and was jailed for three years last December at Manchester Crown Court. 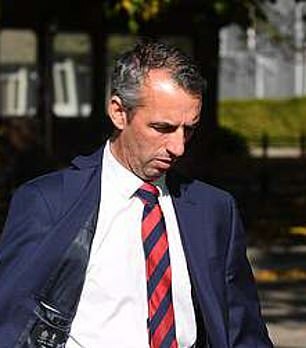 Hospital manager Nick Smith said the crime had taken money from the NHS, but also ‘money charged to members of the public, both patients and visitors, using the hospital’. John Coffey refused to help deal with a backlog of X-ray studies at Royal Preston Hospital in Lancashire until he was told that extra money had been made available to pay for overtime. Then the radiologist — who was already on a salary of up to £102,000 a year — fulfilled the request during his working day, but waited until 5.01pm to submit the X-rays, so he could invoice £4 in overtime for each one. 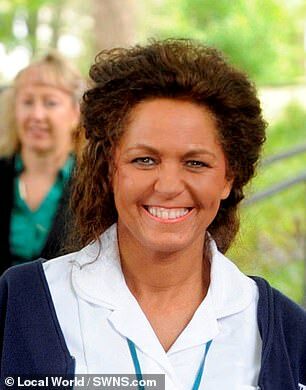 At some points the fraud cost the NHS an extra £400 a day, notching up a total of £24,000 for Coffey, 55. When challenged, Coffey claimed he was merely ‘efficient’. He received a 15-month suspended jail sentence in March 2017 and was also ordered to carry out 200 hours of unpaid work and pay costs of £14,600. He was later struck off from practising as a doctor for 12 months. As chief executive of South Devon NHS Foundation Trust, Paula Vasco-Knight had a salary of £165,000 a year, yet commissioned her husband Stephen to produce a newsletter and a 200-page document on ‘leadership’, (costing £20,000) that did not even exist. 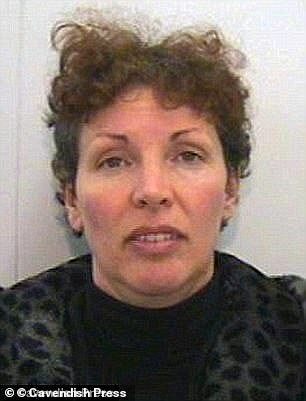 Former nurse Vasco-Knight, 55, illegally failed to declare an interest. She told investigators Stephen could offer value for money and that he was MD of a design firm. Stephen later admitted his company was a ‘one-man show from the garden shed’. Both admitted fraud and received suspended prison sentences in March 2017.